“Nicholas DeRose is a powerful addition to our team and commands an expertise in developing and executing initiatives to promote our brand and increase our market share,” says Anthony Mongeluzo. Pro Computer Service (http://www.procomputerservice.com) and its president, Anthony Mongeluzo, announced today the appointment of Nicholas DeRose to director of sales and marketing. This announcement marks a major industry career change for DeRose after 14 years in the financial services field. DeRose will be tasked with creating and implementing a strategic plan to increase the footprint of one of the fastest growing companies in the Philadelphia Metro Region. 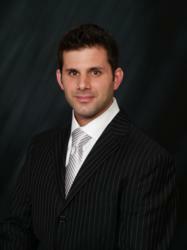 DeRose has developed an extensive background within the banking, insurance and financial planning industries. During these 14 years, DeRose has established a large and loyal following of business owners, executives and individuals, which he acquired throughout his career, extending from the Philadelphia Stock Exchange to Wall Street. DeRose was a vice president at Delaware Valley Financial Group and as a humanitarian, he serves on the Board of Trustees for The Drenk Foundation (http://www.drenk.org). He also volunteers with Little Smiles in Philadelphia and proudly supports the Marine Corps Toys for Tots. DeRose does volunteer work with the Union League’s Youth Work Foundation and is a former vice-chairman. Anthony Mongeluzo is the president and CEO of Pro Computer Service LLC and pilotLight Studios. He has also entered into a partnership with Agency Telecommunications and is Philadelphia’s Fox 29 News IT expert. Founded in 2002, Pro Computer Service is a national, award-winning IT consulting and service firm with offices in New Jersey, Pennsylvania, Delaware, and Maryland. PCS designs, sells, installs and supports complete network solutions for businesses of all sizes. It also provides Managed IT Services and Help Desk Services. Pro Computer Service also provides telecommunications consulting to help reduce costs and, in many cases, recover money through an audit of current and past phone and data bills. For more information, contact Mongeluzo at 856-596-4446 or visit http://www.procomputerservice.com.